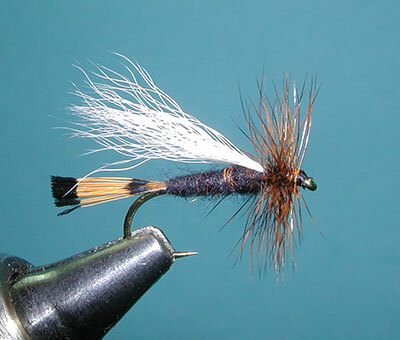 Notes: The Trude is a down-wing dry pattern with a calftail hairwing and a heavy hackle collar. Originally, the Trude was a wet fly designed by Carter H. Harrison of Chicago, Illinois, in the summer of 1906 while he was a guest at the A.S. Trude Ranch near Big Springs, Idaho. 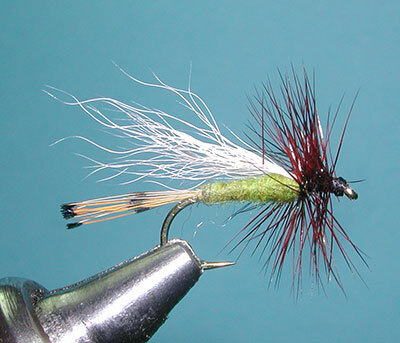 The fly was created as a joke using red yarn from a cabin rug for the body and hair from a red spaniel for the wing. The "joke" became an instant success and created great interest in the use of hair for a wing. The fly was later adapted to a dry fly dressing by including a tail and, probably saving the family pet some fur, switching to Fox Squirrel tail for the wing. The fly proved itself on the Snake River in southwest Idaho. Word spread to other parts of the Rocky Mountain West. 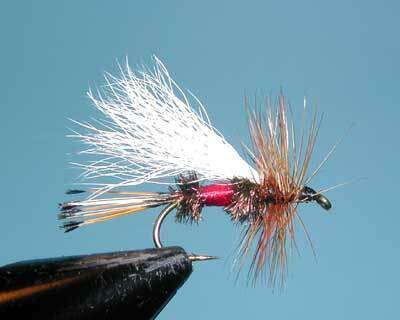 Bill Beaty, one of Montana's commercial tiers of the time, added the red goose quill tail. Cliff Wyatt of Santa Monica, California later added his variations of the pattern and Pat Barnes of West Yellowstone, Montana, took the two ideas and combined them, creating the Sofa Pillow. This time the fly emerged as a dry fly. Dan Bailey of Livingston Montana came up with his variations of the Trude. They had red, yellow and orange bodies with Adams-styled hackle. 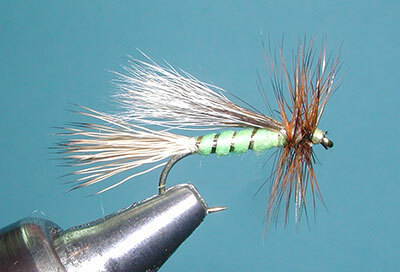 Later a lime colored dubbing was added and this fly, the Lime Trude, became one of the most popular variations being the choice for the Jackson Hole One-Fly Contest. By substituting the feather style wings with hair they often concluded that they had a Trude fly, never stopping to think that what they had was a hairwing variation. Such patterns as the Royal Coachman came to be known as the Royal Trude when it fact it could only be defined as a "Hairwing Royal Coachman". Due to the down-wing shape, the trude is often fished as a dry fly with a downstream drift but retrieved as a wetfly or streamer. 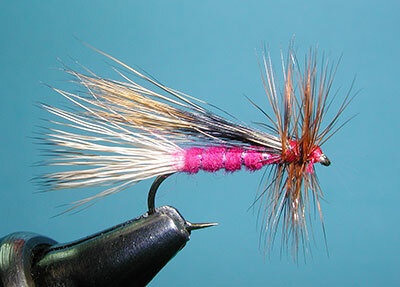 This gives the fly a unique ability as an attractor. Body: Yellow Floss or dubbing. Body: Red Floss or dubbing.